The existing operation was grinding 0.050” to0.150” on a roughing pass, taking a maximum of 0.030” each pass until 0.005” of stock remained, and finish grinding 0.001”-0.002”per pass to maintainroundness,profileand10Ra surface finish on a large machine, overkill for a steel part that ranges 0.250” to 1” in diameter. Changeover time was long, several grind setups were needed to grind 0.082” of material, and 4-5 passes were needed to achieve the required surface finish and roundness. The GT-610-CNC plunge grinds the part, maintaining 0.0001”diameter tolerance and the required shape –all in fewer passes. Removal of 0.082” takes only 113 seconds from start to finish, achieving 0.000025” roundness, with a 5 Ra surface finish, in only 3 total passes. 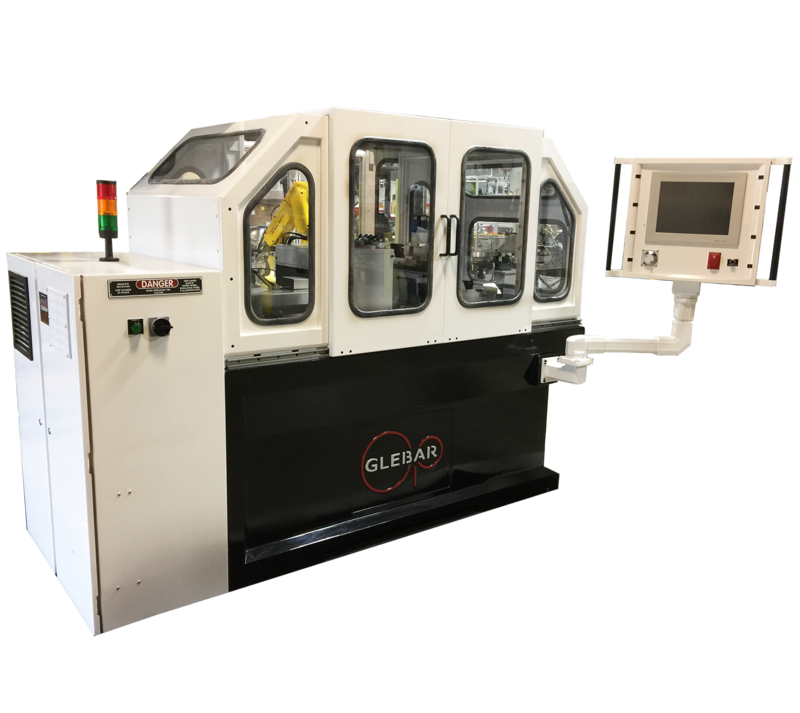 The operator is able to switch over from part to part, and between operations, by simply redressing the grinding wheel, using the built-in CNC roll dresser. Alternatively, one can change to a pre-dressed grinding wheel in 15-20 minutes. The setup time is further reduced with the added patented lateral work rest blade axis, since full axis control is available using one touch on the touch screen control.